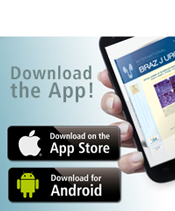 Objective: To compare the International Prostate Symptom Score (IPSS) and novel Visual Prostate Symptom Score (VPSS) in patients with lower urinary tract symptoms (LUTS), to correlate scores with uroflowmetry and prostate volume and assess patient perceptions regarding pain prior to, and after prostate biopsy. Materials and Methods: Patients with LUTS who had an indication for transrectal ultrasound (TRUS) biopsy were included. Patients completed the IPSS-, VPSS- and prostate biopsy pain assessment questionnaires. 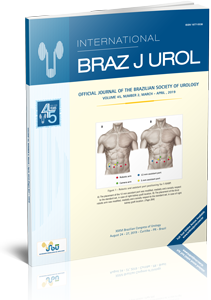 Assessment included uroflowmetry, post- void residual volume and prostate volume (measured with TRUS). Results: One hundred men were included. There were statistically significant correlations between the VPSS score and IPSS score (correlation coefficient (r) = 0.802); VPSS and Qmax (r = -0.311); VPSS and. Qave (r = -0.344); prostate volume with VPSS (r = 0.194) and Qmax (r = -0.260). The VPSS was quicker to complete than the IPSS (mean 100 vs. 165 seconds). The mean anticipated pain score before biopsy was 2.8 (range 0-6), and after biopsy (experienced pain) it was 1.8 (range 0-5). The pain during biopsy was less than expected in 67% of patients. Conclusion: In men with LUTS scheduled to undergo prostate biopsy, the VPSS score correlated positively with the IPSS score. Men with limited education take less time to complete the VPSS. Patient’s perception of expected pain or discomfort during TRUSguided prostate biopsy was significantly higher than the pain actually experienced during biopsy. Men with lower education level had significantly higher expectation of pain prior to biopsy, but similar pain during biopsy.